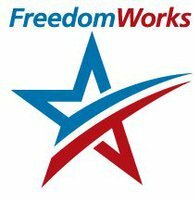 I am excited to announce the endorsement of Freedomworks PAC. As the nation’s top conservative grassroots coalition, Freedomworks has been at the forefront of the movement to replace career politicians with candidates who will follow the constitution and practice fiscal responsibility. I’m excited to be endorsed by the Freedomworks team, it was Freedomworks that worked so hard to train and motivate grassroots Republicans in recent years to get involved in what’s going on in Austin and Washington. The folks at Freedomworks know Texas is the battleground in turning back the big-government, high-tax agenda of the Democrats. I’m proud to have Freedomworks on our team as we get out the vote in SD-10.